Playing what they describe as “Experimental Folk / Orchestral Pop”, Whim Po and Emili’s Colin Weaver (vocals/strings) and Emily Robertson (vocals/piano) began as an acoustic duo playing small shows in and around Northfield, Minnesota in 2007. 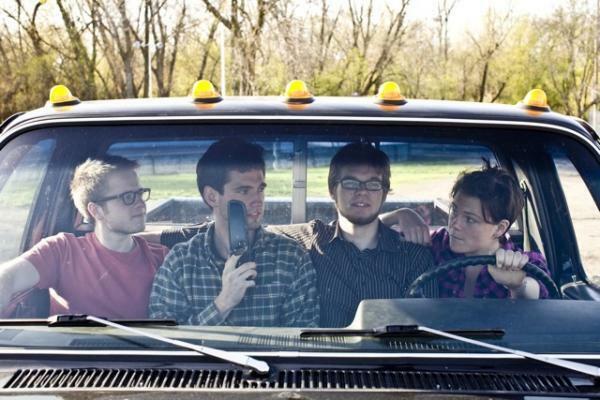 As their following grew in Northfield’s basement bar and college scene, other members were added and WPE released their debut album, “Whim, Po, & Emili,” in November of 2009, followed soon after by their EP, Maybe Baby, in May 2010. Their music, while diverse, is most easily classified as orchestral pop. It takes the words and images so powerful in the folk tradition and imbues them with the melodies and rhythms of popular music. Intoned with the stories and imagery they encounter, they create music that embodies the textured world around them. Over the last two years WPE has played shows throughout the upper Midwest. Their diverse sound easily lends itself both to large, high-energy, electric sets and smaller, quieter acoustic shows. Shades of Radiohead….you’re gonna enjoy this one!